End your school week with the LGBT Center! 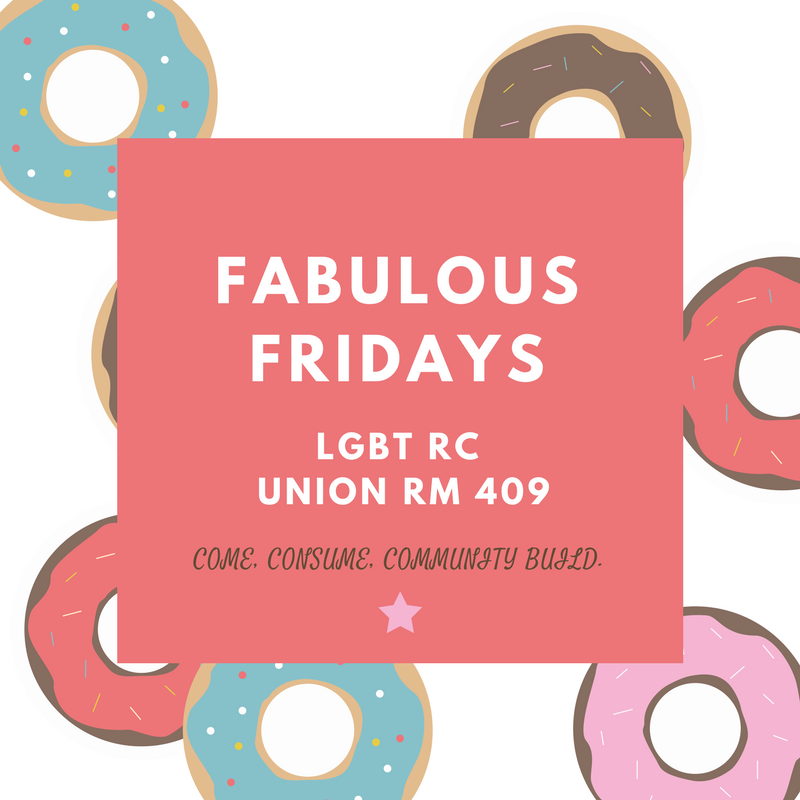 During the Spring and Fall semesters, the LGBT Center holds Fabulous Fridays from 3:00-5:00 PM. Come eat free food, play board games, meet new people, and celebrate another week past.